As we move into the 2019 growing year, one of the residual issues from 2018 that will affect this upcoming growing season is soybean seed quality. The 2018 growing year brought some of the highest yields we’ve seen; but seed quality issues stole some of the spotlight. Many of these issues were the result of historic fall rains in the Midwest, causing a long-delayed harvest window that affected final soybean quality. 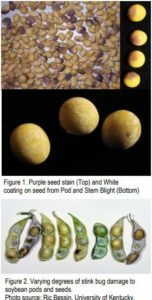 Because of these issues, many growers experienced challenges in delivering crops to the elevator with soybean loads getting discounted for shriveled up, discolored or poor-quality soybeans. Quality and germination were most often cited as the cause of the discounts. At the core of our business, B&A Genetics is focused on bringing some of the highest quality soybean seed in the industry to the regions we serve. Combined with our premier seed treatment, Protect ‘N Grow, we’re doing all we can to help growers get the most from every acre. Our process begins with our seed producers and processors. We work closely with producers to assure the best possible seed. From there, our processors use state-of-the-art equipment, such as air cleaners, gravity tables, and color sorters before treating and bagging. 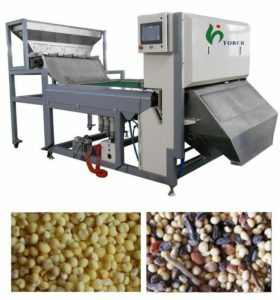 Air cleaners pre-clean with high-power jet air to remove any foreign material and debris, then gravity separators remove the soybean seed based on weight and density, eliminating seeds that are less dense and lower quality. Finally, color sorters remove any discolored or off-color soybeans. The B&A Genetics team engages various testing labs to ensure that the seed quality and germination meet our high standards. We’re committed to taking extra steps to make sure every bag of seed meets our expectations—and yours—before shipping.